Elder Po has been serving as an elder at NCFC since 2015 and been attending NCFC since 1994. He is also a VP/Senior Financial Consultant who helps people create and preserve their wealth for retirement. Essentially, his entire life is about storing up treasures both in this world and in heaven. 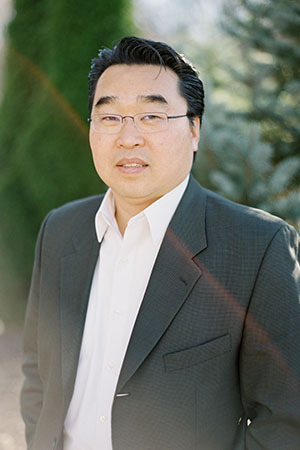 Elder Po also oversees the Men’s Ministry at NCFC. Po is married to Sunhee, a very talented artist who Po credits with transforming him into a better man, and has two sons, Justin and Nick, who he credits with transforming him into a more patient man. He is not only a spiritual leader at NCFC but is also a jack of all trades from mechanical work as well as sewing.